Nokia is planning to introduce a new set of devices in 2013. It's been reported by The Verge though company sources that this will be the successor to the existing launched Nokia Lumia 920. Nokia Lumia 920 was in market last year and it is now, but the Finnish company is trying to replace the existing poly-carbonate body with aluminium construction. 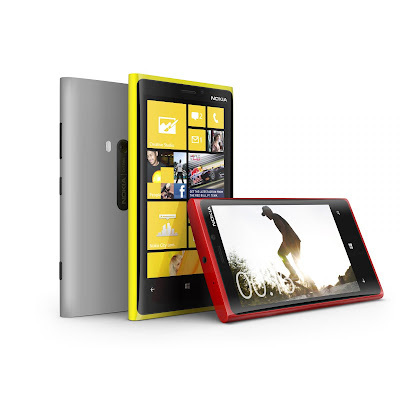 We have seen the build Lumia 920 had was poly-carbonate running on windows mobile operating system. The current Nokia Project has a code name "Catwalk" and will replace the poly-carbonate body of existing Lumia 920 with aluminium body, very well we remember the days when Nokia used to provide aluminium body phones like Nokia N8 . It's a similar concept to produce one high end phone this year with same hardware configuration and change in outer material build. It's also in leaked news unconfirmed that Nokia is also planning to debut two new smartphones lined up as Lumia. Maybe what the body of Lumia couldn't do to compete against the product of Apple or Samsung, the new debut in line of Lumia could do that. Do let us know your views in the comment section.